Being a consultant or traveling professional comes with some unique challenges compared to the standard 9-to-5 job. We’re constantly on the road, talking on the phone, guzzling coffee, chowing down, and trying to find street addresses in neighborhoods we’ve never been in before. I’ve put together this gift guide to help make life a little easier for the consultant on your shopping list this Holiday season. I can’t recall exactly how many times I’ve traveled out to a client’s location for the afternoon, which usually means that I get to eat my lunch on the road. By the time I’m done eating and I arrive at my client’s office, I oftentimes wish I could brush my teeth. Thanks to Colgate, this is no longer a problem. 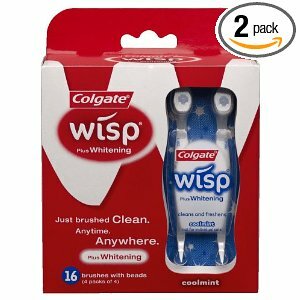 With the Colgate Wisp, I can brush my teeth anywhere without all of the hassle of finding a restroom, carrying around toothpaste, and having a place to spit and rinse. These single-use toothbrushes contain toothpaste “beads”, which are available in many flavors, and much more convenient than a tube of toothpaste. Now I can brush my teeth on the go and simply throw away the brush when I’m done. There’s not a consultant on your shopping list that wouldn’t love to have a box of these under the tree. 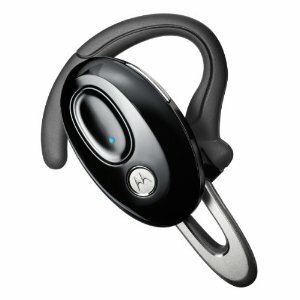 Unless you have a car with built-in Bluetooth, a Bluetooth headset is an absolute necessity for a traveling consultant. Considering the amount of time consultants spend on the phone while driving, being able to talk hands-free will save countless lives and trips to the dry cleaners. There are endless varieties of Bluetooth headsets available from many different manufacturers, which can range from below $20 to well over $100. While many cheaper models are likely to perform about as well as some of the more expensive models, keep in mind that in general, you do get what you pay for. The cheapest models likely won’t last as long or work as well as the upper tier, preventing your gift living up to its potential. Cell phones are a great tool without a doubt. However, relying too much on my cell phone can be a real hassle, especially while traveling. Consider using your phone’s GPS function while dialing in to a conference call and eating your lunch, all while keeping your attention on the road ahead. Talk about a headache. 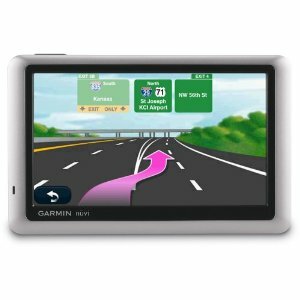 Stand-alone GPS units, such as my personal favorite Garmin nüvi, are an excellent solution to this problem. Since receiving one as a gift a couple of years ago, my phone is completely free to use for phone calls – imagine that! Having a device dedicated to GPS requires less multitasking, making my drive much safer. No consultant should be without one. 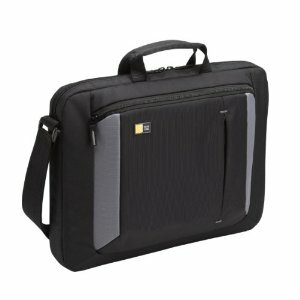 Having a laptop carrying bag is a necessity for consultants and IT professionals alike. Traveling with a laptop also means traveling with power cords, wireless mice, and the occasional sandwich (among other important accessories), so it is important to have an attaché with plenty of pockets for items besides the laptop itself. Here it is, the Holy Grail of travel coffee mugs: A heated travel mug complete with USB and car adapter! Not only will it plug into your car to keep your coffee warm during the early morning trip to the client far, far away, but you can also plug it in to your laptop once you get there. Unless you like cold coffee, it doesn’t get any better than this. I’ve had many coffee mugs in my day, and every day I wish I had one of these. If anyone out there’s feeling extra generous this holiday season, send one my way. I’ll appreciate it, I promise! Buying gifts can be a challenge (and you don’t want to be the person that only gives gift cards for presents, do you?) so our team is putting together some great holiday gift guides this season to help you out. This list will be updated as new guides are published, so keep checking back for new ideas! Technology has drastically increased the number of entertainment options the typical day-commuter has for the boring trips to and from the office. Whether your loved ones take the train, bus, or carpool with others, here are five great gift ideas that they are sure to love. Gamers can be a tricky bunch to buy for. Taste in games varies wildly, and if you’re unlucky you might accidentally buy Kinect Sports for someone who was hoping to play Fallout on Christmas morning. Talk about embarrassing. 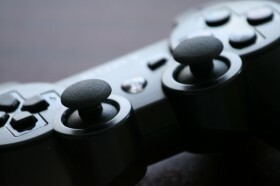 This guide will give you great tips for PC, Xbox 360, PlayStation 3, Wii, Nintendo DS, and Sony PSP. Do you have a skier or snowboarder on your Christmas list, but have no idea what it means to shred the gnar or hit the deep pow? Worry not, because buying them anything on this list is sure to give them the same tingly feeling as making first tracks on virgin snow (it’s a good thing, trust me). Shopping for the whole family – grandparents, parents, teens, preteens, and kids – can be a big challenge. Being a person that loves shopping, let me give you a little guidance for buying gifts for each of these groups, and some gifts that the whole family can share together. It’s a cold hard fact of holiday gift giving: you don’t always get everything you asked for. For five years during your childhood, you asked for the $200 Star Wars Millennium Falcon Lego building set, but did you get it? No. You always got the $30 X-Wing set. 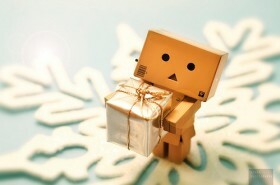 So for all of those people out there with high-priced gadget wishes this Christmas year, don’t get discouraged. Here are some Millennium Falcons to consider placing on that holiday wish list. … more guides coming soon! The holidays are right around the corner, and if you’re anything like me you haven’t even thought about starting to shop for gifts. In the past this situation might have ended with you in tears at the mall, desperately fighting against throngs of soccer moms and biting children, hoping to grab the last of whatever this year’s best seller ends up being in the final days leading to Christmas. This year, however, with our series of gift guides and the convenience of online shopping, you can buy gifts for everyone on your list in between matches of Call of Duty. Gamers can be a tricky bunch to buy for. Taste in games varies wildly, and if you’re unlucky you might accidentally buy Kinect Sports for someone who was hoping to play Fallout on Christmas morning. Talk about embarrassing. Thankfully, some games have near universal appeal, that any gamer would be happy to find in his or her stocking. I’m here to tell you about these games, one for each of the major systems available today. Do you have someone on your list who likes Legos? Of course you do, everyone likes Legos. It should then follow naturally that everyone likes Minecraft. Minecraft has been around for a while now, but this past summer it saw an explosion in popularity, and it seemed like every PC gaming website on the planet was giving their take on the indie sensation. All this attention didn’t come without a reason, and Mincraft – though it’s still in the alpha stage of development – manages to live up to the lofty expectations set by its success. In its current form Minecraft is a pure sandbox style game. There are no goals to accomplish except those set by yourself, and you can do anything you want, whenever and wherever you want. All the geometry in the game (including your character) is based around the simple Lego-style block, which can be combined with other blocks of different types to form new objects. Punch a tree for long enough and a block of wood will fall out. Combine two blocks of wood and you get a stick. Combine that stick with blocks of coal that can be mined, and you end up with a torch that can light your path. 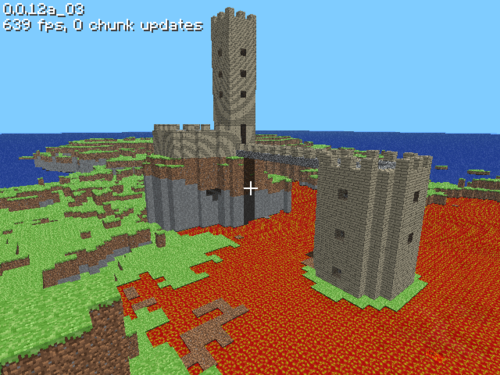 Blocks of material can also be moved around to create structures in the game world. This comes in handy, as you can build yourself a house to protect you from the monsters that come out during the game’s nighttime. On top of how fun and engaging Minecraft can be, until it’s final release the game can be bought at a discount. That means you can afford to buy yourself a copy as well! Try building THAT with your Legos. Peter Molyneux, the mind behind the Fable series, is a bit of a controversial figure in the world of gaming. He’s the man responsible for some of the greatest games in the history of the PC, including Dungeon Keeper, Theme Park, Magic Carpet, and Black & White. More recently, however, he has a habit of making claims that his games cannot possibly deliver on (see his Wikipedia entry for more information). Thankfully, Fable III manages to live up to most of the hype and offer an enjoyable gaming experience. If you played Fable II, you should feel right at home as you’ll be slinging the same spells at the same Balverines, working to level up your melee, ranged, and magical arsenals. On top of the familiar gameplay, your character now also has to deal with the day to day management of a kingdom, with your decisions influencing the direction the game takes. Heavily tax your citizens and let criminals wander freely and the world responds by becoming visibly poorer. Take the opposite strategy and watch as your kingdom flourishes. Fable III isn’t without its flaws, but is absolutely bursting with charm that makes it impossible to not enjoy, making it an excellent holiday gift for that gamer on your list. Ok, I lied a little bit earlier. Gran Turismo 5 might not have universal appeal, but to the right person it might be just what they’re hoping for, and it’s definitely going to be a big seller this holiday season. Does the person you’re shopping for make their own motor noises while cruising around town in their purple Dodge Stratus? 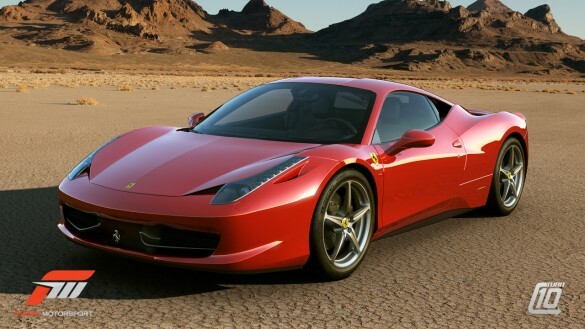 Get them Gran Turismo 5 and they’ll love you for life. 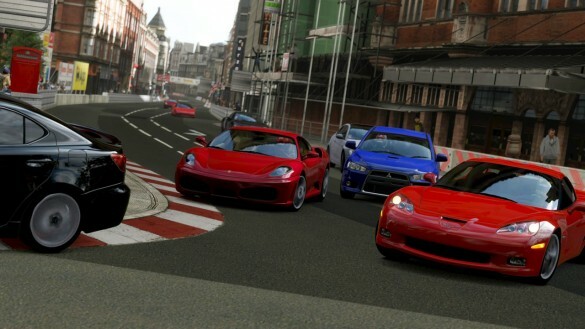 Any car/driving/racing enthusiast will find plenty to do in Gran Turismo 5. The fifth iteration (obviously) of the critically acclaimed driving simulation series Gran Turismo, GT5 is a game that’s been in the making for six long years. It boasts a roster of over 1000 cars (though some are more detailed than others), and you’ll be doing everything from go-kart racing at 75 MPH, to learning about NASCAR from Jeff Gordon, to, of course, lots of racing in cars you’ll never be able to afford on real world tracks you’ll never visit. Gran Turismo 5 certainly isn’t perfect, but it still manages to succeed on a level never before seen in a racing simulator. If you want to know what went on during those six years of development, hop into your favorite supercar and take it for a spin around Nürburgring. As you open up the throttle on the track’s long straightaway, taking in the beautiful scenery, the roar of the engine loud in your ears, you’ll know you’re playing something special. Or at least whoever you buy it for will. Ah, the memories. Four kids huddled around a tiny TV. Each looking at their quarter of the screen, pretending not to look at anyone else’s. Ripping each other apart with RCP-90s and blowing each other to bits with the dreaded proximity mine. That one kid who always (annoyingly) picked Oddjob. 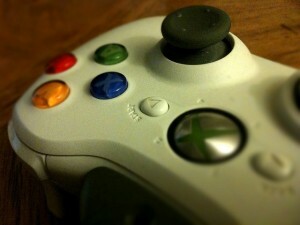 If you played video games in the ’90s, you know exactly what I’m talking about: Goldeneye. The name alone brings back waves of nostalgia. Unlike Perfect Dark for the Xbox 360, Goldeneye for the Wii isn’t a direct port of the N64 classic. Instead, it’s more of a re-imagining. Throughout the game you’ll see some familiar areas, but there’s plenty of new ground to cover and people to shoot. Additionally, Pierce Brosnan’s visage has been replaced by the most recent actor to play James Bond, Daniel Craig. 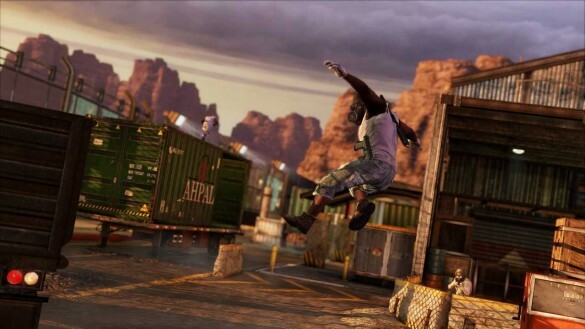 Multiplayer can be enjoyed by up to four people on one console, split-screen style, or you can opt to take the more modern approach and play with up to seven other people online. All your favorite classic characters make an appearance (yes, even Oddjob), and even the one-shot-one-kill Golden Gun returns to wreak havoc. Any classic gamer on your list lucky enough to get it will certainly enjoy Goldeneye. Before its release, the original Scribblenauts was set to be quite possibly the greatest game of all time (I might be exaggerating slightly). It allowed you to think of nearly any object, type it out, and watch it appear before your eyes. Particularly tough enemy got you down? Instantiate a time machine, take it back to the past, and ride back to the present on a freaking dinosaur and eat the problem away. Or just summon Cthulu and watch as one of the Great Old Ones demolishes your opposition. Only your imagination (and the game’s nearly bottomless dictionary) stood in the way of solving all the puzzles the game had to offer. Unfortunately, infuriating controls and some lame levels marred an otherwise enjoyable experience. This year, Scribblenauts is back, bigger and better than ever. 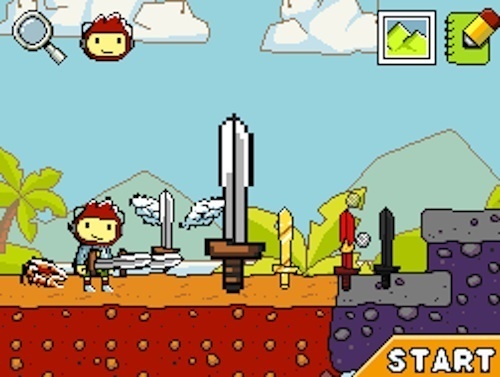 Super Scribblenauts manages to solve most of the problems of the first game. 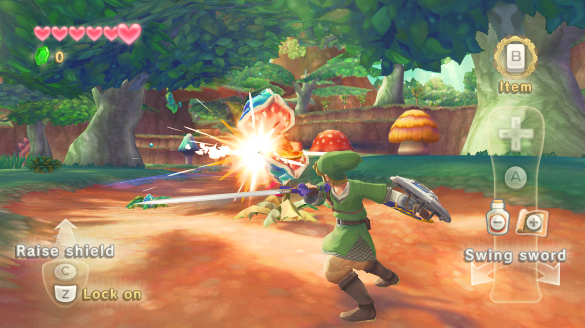 The annoying touch-based only controls of the previous installment can now be replaced by more precise d-pad controls if you wish, and the level design is much improved. Additionally, adjectives can now be attached to objects you summon. Why wield a simple sword when you can instead brandish a much more intimidating flaming sword? Almost anyone can find joy in playing Super Scribblenauts, making it a perfect gift. The God of War franchise is known for its stellar gameplay and polished gaming experience, and this excellence carries over to its latest mini form, Ghost of Sparta. 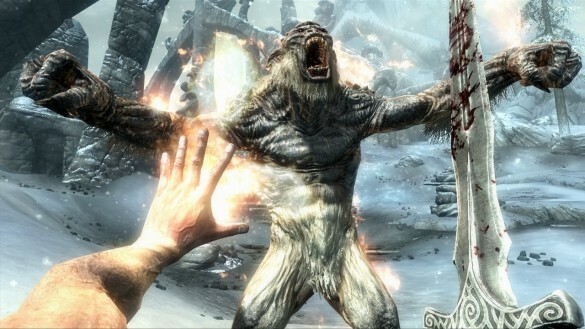 Just like in past incarnations of God of War, you play as the demigod Kratos, and like usual you’re mad as hell. Thankfully there are legions of mythical creatures just waiting for you to hack and slash them to bits and release some of your anger. And boy is that hacking and slashing pretty. Somehow God of War‘s developers have managed to cram the graphical quality of a PS2 game into the aging hardware of the PSP. Ghost of Sparta is one of the must-have games for Sony’s portable console, so it’s a safe purchase for that special someone on your list. If you’re having a tough time deciding what to get, take the easy way out and buy the gaming equivalent of a gift card. All three of the major consoles have an online service where plenty of downloadable games are available for purchase, so they’re bound to find something they like. While iTunes might be most recognized for its music store, there are also plenty of games available. If your giftee owns an iPod Touch or iPhone, an iTunes gift card makes a great gift idea. That’s it from me. If you have additional suggestions for good gifts for gamers, feel free to leave them in the comments section found below! At my previous job, I took the train from the suburbs straight to Union Station in downtown Chicago. The train ride would leave me with about 2 hours each day to do whatever I please, as long as it could be done on a train. Thankfully, technology has drastically increased the number of entertainment options the typical day-commuter has for the boring trips to and from the office. Whether your loved ones take the train, bus, or carpool with others, here are five great gift ideas that they are sure to love. Reading is probably the most old-school of activities one could do during a commute to work, or any time, for that matter. Old-school or not, people still enjoy reading during their free time more than any other pastime. Thankfully, with technology, it is no longer necessary to drag along your library books. An entire book can be loaded on to this device, which is much smaller than your standard paperback novel. When you finish one book, there is no need to go to the library or the store to find a new book; one can browse for and download a new book from the Kindle Store, straight to the device itself. They even come equipped with 3G and WiFi, so the busy individual can acquire new reading material on the go. Available for purchase from Amazon.com, this gift is perfect for any commuter on your list that enjoys reading. There are all kinds of MP3 players on the market, most of which are quite capable of playing a large collection of music on the go. Perhaps the fact that there are so many options out there is what makes this such an attractive gift. But buyer beware, not all MP3 players are created equal. The right gift for that special someone can vary greatly based upon their own personal tastes. 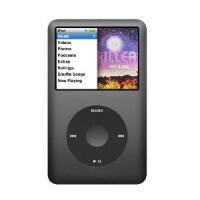 Personally, I still love my iPod Classic, but I know many people that prefer their iPod Shuffles, iPod Touches, or even the iPhone. In my mind, the iPod Classic plays my music, and plays it well. I don’t personally care about the other features and apps of newer MP3 players, but many do, so it is important to take that into consideration when shopping for the audiophile on your holiday shopping list. How could one possibly go wrong with a laptop? They can do simple word processing, browse the internet, send email, watch video, and a seemingly countless amount of other tasks, all from one device. Add a 3G or 4G mobile device, and all of this can be done on the go. It’s literally the gift that can do it all. Sure, it’s quite a bit larger than an iPad or similar tablet device, but personally, I wouldn’t trade in my laptop for anything. During my long commutes, I would actually write code and design websites, which would be much more difficult, if not unfeasible, to do on an iPad. 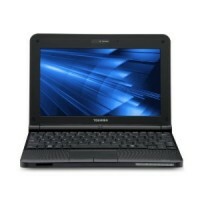 A netbook or laptop is the perfect gift for the IT nerd on your list, or for the individual that wishes to perform many tasks from one device. The single greatest advantage to the Android smartphone platform is the variety of different options available to the consumer. If you go with the undoubtedly solid iPhone, that is more or less your only option. Apple has a monopoly over the iOS, so you get whatever Steve Jobs says you’re getting. 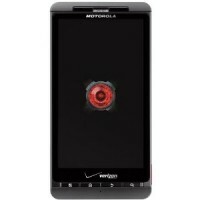 Android, however, has many different flavors, and is available on many different networks, including the most dominant carriers, Verizon and AT&T. Consumer choice is the ultimate benefit of the Android platform, providing the perfect smartphone for anyone on your list, no matter their tastes. This device is my personal favorite. I spent countless hours playing games such as Disgaea: Afternoon of Darkness, God of War: Chains of Olympus, Grand Theft Auto: Chinatown Wars, LittleBigPlanet, and even some PlayStation Minis. All of the games are downloadable from the PlayStation store, which features hundreds of titles spanning every genre known to man. 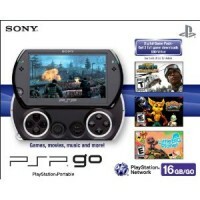 The PSP Go!‘s small size makes it easy to fit in your pocket, or backpack, or even your lunch bag. 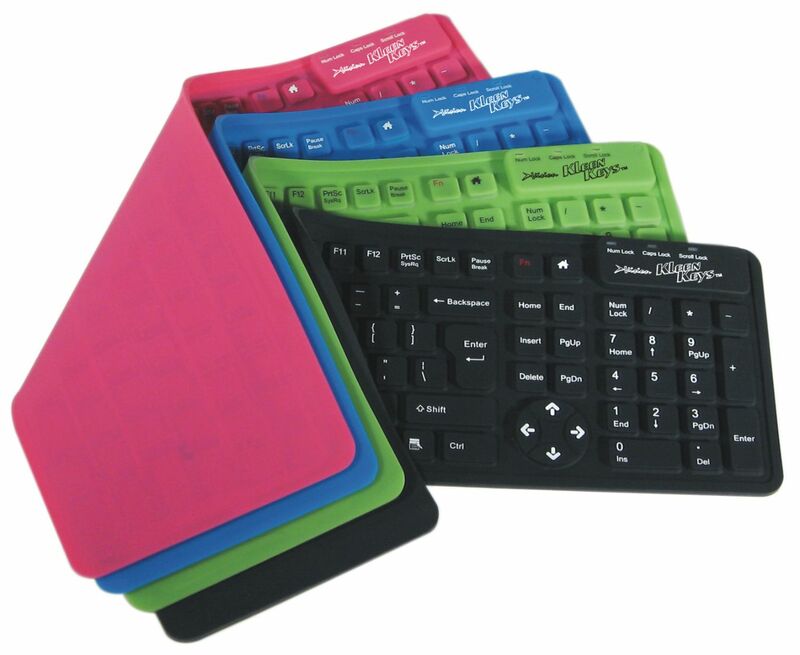 The possibilities are virtually endless, perfect for the avid gamer on your holiday list. Topping the list of Facebook features I’ll never miss, the Facebook team removed the Gift Shop as of August 1st. No longer will you see the nagging option to give your friends images of cakes or puppies for their birthdays (I’m still baffled by the whole virtual item/currency thing). The gifts you’ve already received on your Wall will remain visible, and you still will be able to view your sent and received gifts on your gifts page. People also can continue to use the many third-party applications on Facebook for giving and receiving gifts, such as Birthday Cards, Hallmark Social Calendar, Pieces of Flair and someecards. Facebook says they will now be focusing their efforts on improving other products (I sincerely hope their Android app gets some much-needed attention). 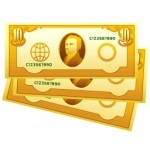 And even though I’m glad to see the Gift Shop go, it will remain an important milestone in the creation of “virtual currencies” that have dominated the internet in recent years. With Valentine’s Day happening this Sunday, hopefully you have thought ahead and purchased your special someone a gift already. If you haven’t purchased your Valentine a gift yet, then continuing reading to get some ideas for what to get them this year. Chances are that your special someone likes to cozy up at night with a good book. Instead of purchasing your them a paper copy of that best-seller, get them an e-book reader and the digital copy. There are two main e-book readers to choose from, the Amazon Kindle and the Barnes & Noble Nook. Although both items have their fans and opponents, I’m sure that this gift would be well-received and able to be enjoyed by all. If you’re looking for something that can be enjoyed by your special geek anywhere and everywhere, then an iPod Touch is the gift you want to purchase. The iPod Touch’s large capacity and the ability to install applications from the App Store make it a great gift that can be customized to fit anyone’s needs. Best of all, if you purchase your iPod Touch from Apple, you can have the gift custom engraved to add a personal touch. Digital cameras are great gifts, but why not take it a step further? 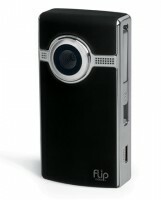 Flip Camcorders are small and portable digital camcorders that feature high quality video, long recording times, and come in a variety of colors and styles to fit anyone’s tastes. At only 4″ x 2″ and just over 1/2″ thick, Flip Camcorders are able to record up to 120 minutes of video. The Flip also features a large line of accessories to connect it to your TV or computer. The Flip is compatible with both Windows and OS X operating systems. Coffee is only good until it cools off. 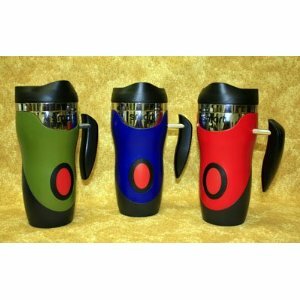 Keep your special someone’s coffee warm by getting him a heated coffee mug. Some options available include 12 V heating, USB heating, and temperature gauges. Chances are that your Valentine has multiple devices that need to be charged on a consistent basis. With each device needing its own charger, the mess of cords can easily become too much to handle. Help reduce the tangle of cords with a Powermat. The Powermat features a universal charging system that is able to charge almost any device. A selection of receivers is also available to add support for devices such as the iPod Touch, BlackBerry smartphones and the Nintendo DS. 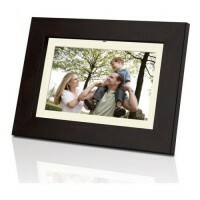 Although they have been around for a while now, digital photo frames are still a good gift for a close friend. With the ability to add large quantities of pictures and the addition of your special song, digital photo frames are still a well-received gift. To make the gift extra special, add some pictures before you wrap the gift to really surprise your Valentine. A fun tee-shirt is a great personal gift for you Valentine this year. Available in all shapes and sizes, you can find tee-shirts that feature a wide range of funny and just downright geeky subjects. Some examples include this All Your Bases poem tee and this pair of proximity sensing shirts for him and her. Have any great Valentine’s Day gift ideas we didn’t mention? Share them with us in the comments!